ICICI Bank has announced its Probationary Officer Training Programme through which it will be selecting interested candidates who want to pursue a career in banking and the programme will be bringing out skilled specialists. It should be noted that the group discussion and personal interview round will be held for those applicant who are able to clear the online tests. The Aptitude Test for the selection of candidates for ICICI’ PO will be held in January/February 2015, which will later be followed by GD and PI in February/March 2015 for the applicants who clear the Aptitude Test. Once a candidate has been shortlisted through the above rounds of selection, there will be a seven month intensive residential classroom training and five months of internship (first internship will be for two months and second internship will be for three months) with a stipend. Those who want to pursue ICICI’s Probationary Officer Training Programme will have to invest Rs. 3,37,080/- (Rs. 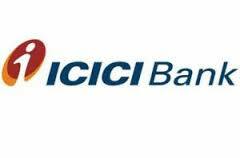 3,00,000 + service tax), which would be provided by ICICI Bank as a loan at a subsidized interest rate of 2.5% p.a. On successful completion of the training and two internships, the Probationary Officers will be absorbed as Assistant Managers (Band I) in the Bank.